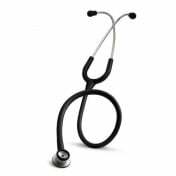 Littmann Master Cardiology Stethoscope manufactured by 3M offers a tunable diaphragm and superb craftsmanship on a single-sided Stethoscope. 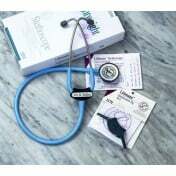 This Littmann Stethoscope offers a handcrafted stainless steel chest piece with the portable convenience of a single-sided stethoscope. The tunable diaphragm conveniently alternates between low- and high-frequency sounds with a simple pressure change on the chest piece. 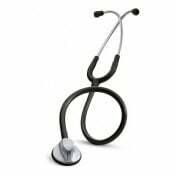 Additionally, the 3M Littmann Master Cardiology Stethoscope comes with a special procedures adaptor for difficult site or pediatric auscultation. 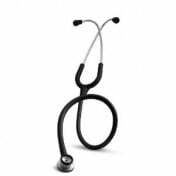 Other Littmann Cardiology Stethoscopes include the Littmann Cardiology STC Stethoscope and the Littmann Cardiology III Stethoscope. Tunable diaphragm allows the user to conveniently alternate between the low- and high-frequency sounds without turning over the chest piece. 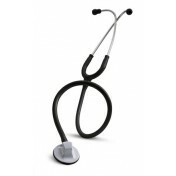 Excellent acoustic seal and comfortable fit with patented 3M Littmann Stethoscope Snap Tight Soft-Sealing Ear-tips. 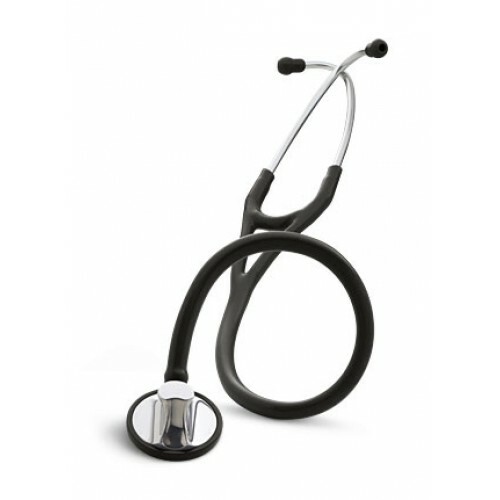 Patient-friendly, non-chill rim and diaphragm. 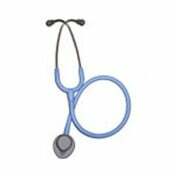 Special procedures adaptor for difficult site or pediatric auscultation. 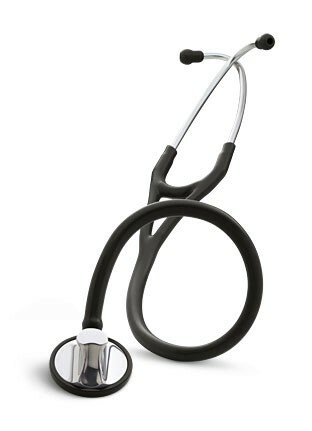 3M Littmann Master Cardiology Stethoscope Warranty: 7 years.